Larry Kudlow: We're Looking At Regulating Google - Joe.My.God. White House economic adviser Larry Kudlow said Tuesday that the Trump administration is “taking a look” at imposing regulations on Google following the president’s tweet Tuesday morning accusing the search giant of favoring news outlets critical of him in search results. “We’ll let you know. 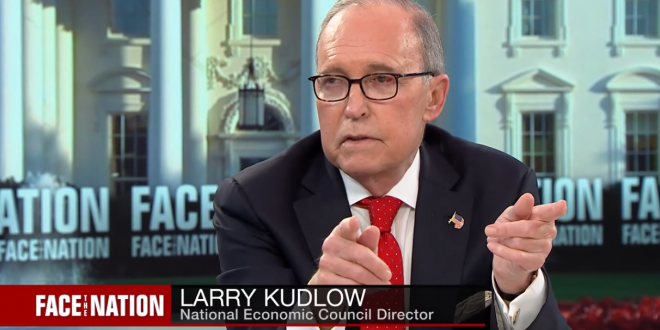 We’re taking a look at it,” Kudlow replied as he walked back into the White House after a TV interview with Fox News. Media Matters has an excellent breakdown of the ridiculous methodology behind the far-right claim that came to Glorious Leader’s attention thanks to Lou Dobbs, Matt Drudge, and Zircon & Burlap.